A debate over the tallest peak in the Alaskan arctic has finally been settled after almost six decades of fighting. Both Mount Chamberlin and Mount Isto claimed the title as their own. Now, one has emerged triumphant—and a third, entirely separate mountain peak has also entered the race. The roots of the debate date back to the USGS’s efforts at mapping the Alaskan arctic in the 1950s. Over the course of the initial mapping effort, two separate maps were made, at slightly different scales. On one map, Mount Chamberlin was slightly taller, on the other, it was Mount Isto. In fact, Mount Chamberlin and Mount Isto are quite close in size. A new digital mapping technique finally confirms that Mount Isto is the taller of the two, at 2735.6 meters. Mount Chamberlin is a full 23 meters shorter at 2712.3 meters—but that doesn’t push Mount Chamberlin to the number two spot. 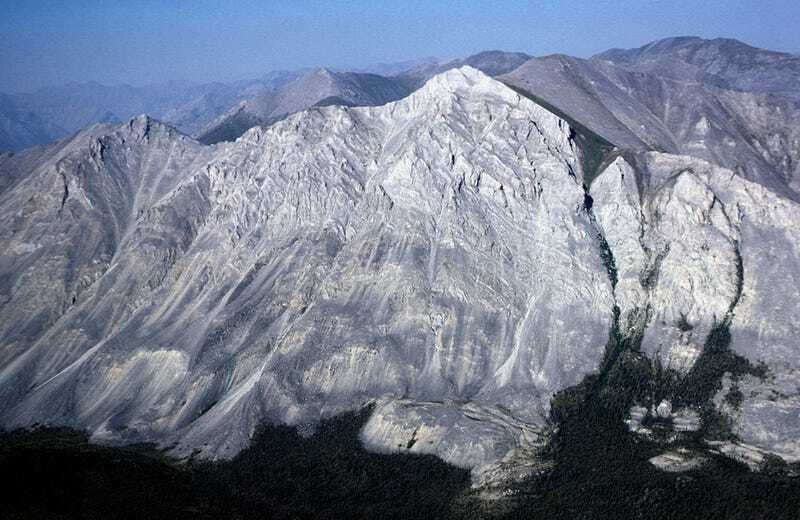 Instead, a third, unsuspected peak from further away, Mount Hubley emerged in the survey with a height of 2717 meters to yank the title and push Chamberlin to number three. The new mapping technique, called fodar, was originally developed by University of Alaska professor Matt Nolan to make more accurate data on changes in Arctic glaciers. To get the measurements of the peaks, Nolan took aerial photos, while mountaineer and professional skier Kit DesLauriers undertook a 12-day climb of the peaks, while linked to Nolan via GPS. By the end, Nolan and DesLauriers were able to turn the photos and GPS measurements into a map of the peaks with an accuracy better than 20 centimeters. The results of their survey, along with details of the technique, were published today in The Cryosphere. Although the method is new, it has roots in an old technique called photogrammetry, where researchers use scale photographs to make cartographic measurements. The difference is in how it’s applied. Both the climb and flight to get the measurements were over remote, harsh terrain in the Alaskan arctic. That alone would be enough to make the journey a challenging one. But there was also an additional challenge for DesLauriers: a GPS antenna, mounted to a steel post in her pack that needed to keep a clear view of the sky for the entire trek. DesLauriers, who has summited the tallest peak on every continent, said that climbing and skiing through icy, severe terrains is “not unusual or extraordinary” for her. The equipment and its demands did, however, present some unfamiliar challenges. “To maintain a great connection with the GPS antenna, I had to maintain a clear and unobstructed view of the sky [over the 12 day climb],” DesLauriers told Gizmodo. Finally settling a six-decade old geographic debate is a satisfying result—but the real relevance of the study is actually in the surrounding ice. The peaks are located in the same area as the Alaskan glaciers that are Nolan’s primary area of study. Solving the debate over the tallest peak, while interesting, was only a secondary motivation. The primary motivation was to perform a validation test of the mapping technique as a measurement tool. Now that they have a record of it working in the area, Nolan can use it to track changes to Alaska’s glaciers as they move and shrink in our rapidly warming world. Nolan also explained that the technique could be used to track changes not only in glaciers but also in permafrost, coastlines, rivers, and even the break-up of the ice sheets. With the technique, we can get an even more complete, real-time map of the ways our planet is changing as it warms.